My agent, Laurie Abkemeier, sold the book I wrote. I’m still reeling. 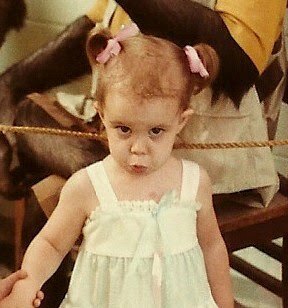 In honor of such a huge announcement I thought it appropriate to revisit the “Monkey Face” picture. Not because it’s related to the news. It’s just horrifyingly funny. Anyone that’s read my blog for the past few years knows about Angela. And yes, she’s a central part of this book. I wanted to write a book that would make you laugh. I wanted to write a book that would make her proud. I wanted to write about losing her in a way that would leave a reader smiling and feeling hopeful, not sad. I hope you’ll like it. So that’s my news. I’ll keep you posted as the process gets started and let you know the release date (which will be at least a year). In the mean time, I’m going to search the house for my smelling salts. Or more realistically, pregnant-friendly Tylenol.